Own Barber’s Legendary Half Union Designs! In the decades following the California Gold Rush, a problem emerged -- too much raw gold and not enough paper money. 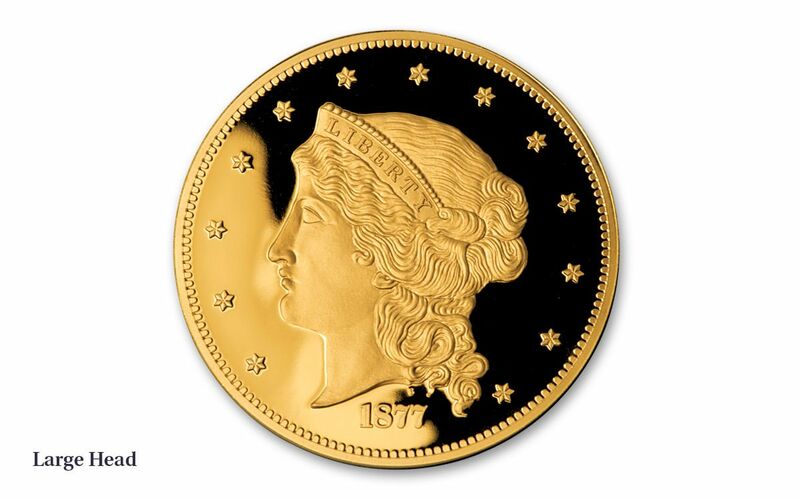 In response, the United States Senate passed a bill authorizing the creation of $100 and $50 gold coins, naming them the Union and Half Union, respectively. 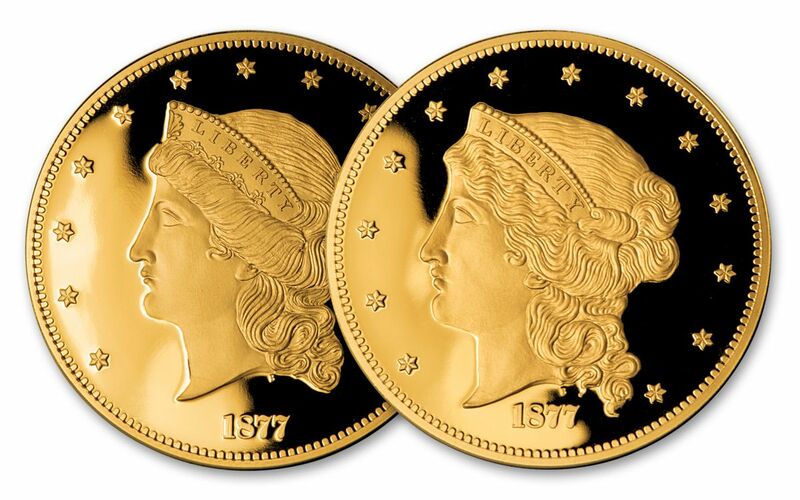 Had they been approved and issued, these would have been the largest circulating gold coins in U.S. history! 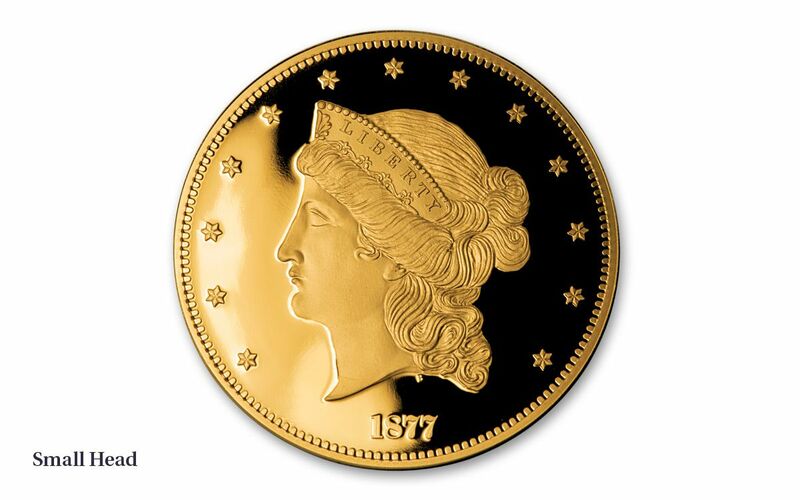 Unfortunately, the bill died in the House of Representatives -- but U.S. Mint Director Henry Linderman still had Chief Engraver William Barber create two Half-Union "pattern" proofs, each featuring a unique profile of Lady Liberty. After the program was canceled, rumors spread amongst the public of these "Large Head" and "Small Head" Half Union Proofs being lost or melted down. Thankfully, the original proofs, known as Judd-1548, survived and currently reside safely within the walls of the Smithsonian Institution. Not planning a trip to Washington, D.C.? Don’t worry! 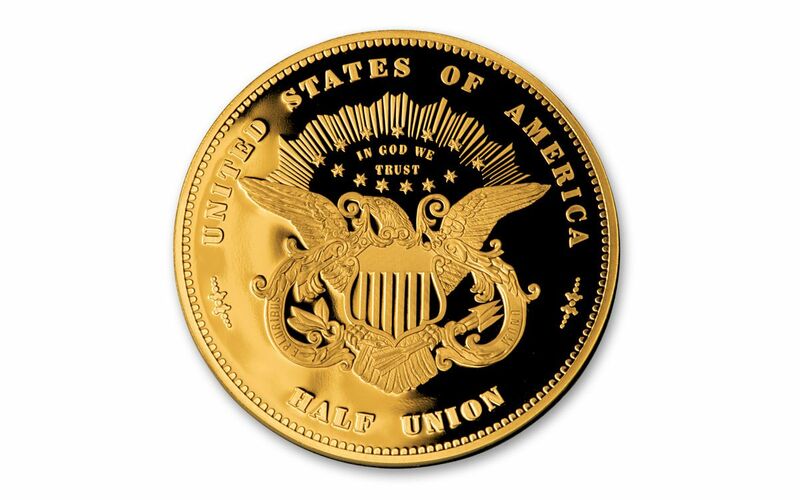 You now have the chance to take home both incredible Half Union designs as 1877-dated proofs, each struck in a half-ounce of 99.99% pure gold and officially licensed by the Smithsonian Institution. Bring these historic designs to your collection today!